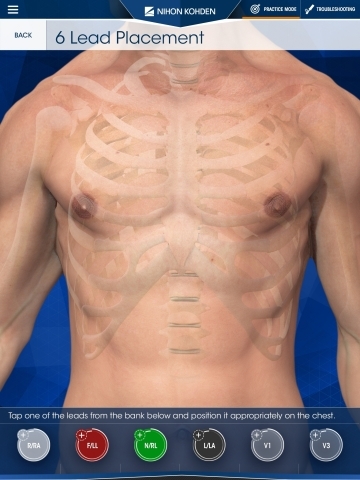 IRVINE, Calif.--(BUSINESS WIRE)-- Nihon Kohden Corporation, a U.S. market leader in precision medical products and services, today announced the launch of the Nihon Kohden Dimensions™ Augmented Reality (AR) App to complement the Clinical Excellence Services offerings from Nihon Kohden University (NKU). NKU is a robust online global education and training platform designed to help healthcare providers build and sustain their technology expertise, optimize clinical practice and ensure quality patient care. AR is a live direct or indirect view of a physical, real-world environment whose elements are "augmented" by computer-generated or extracted real-world sensory input such as sound, video, graphics, haptics or GPS data. AR can provide a cost and time-efficient approach for clinicians to treat patients, teach and train staff and react quickly in emergency situations. The Nihon Kohden Dimensions app, which is being highlighted at Nihon Kohden’s HIMSS18 booth (10925) March 5-8 in Las Vegas, was recently recognized as the AVA Digital Award 2018 Platinum Winner for Mobile App, the top honor in this category. AVA Digital Award is an international competition that recognizes excellence by creative professionals responsible for the planning, concept, direction, design and production of digital communications. Nihon Kohden Dimensions is currently designed to be used with Nihon Kohden’s Lead Placement and Arrhythmia Identification posters available on the NKU website (www.nkuniversity.org). 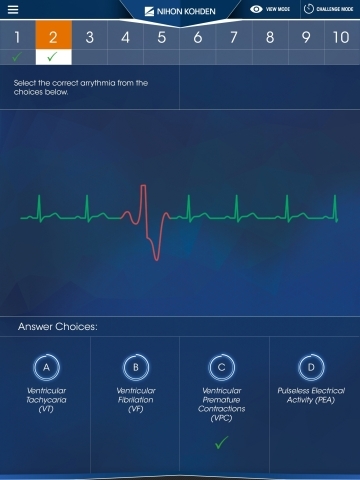 Users aim their mobile device at the corresponding posters and the app launches the AR training experience, walking them through correct lead placement using Nihon Kohden’s three and six lead sets or teaching them how to identify common cardiac arrhythmias. The app is for use on iOS compatible devices (iPhone or iPad) only. Nihon Kohden was founded with the mission to improve patient quality of life through the use of advanced technology and is committed to providing valuable training tools to its customers as part of that mission.